OAK GROVE, La.— The West Carroll Chamber of Commerce has announced the formation of its Operation 2012 Committee which is charged with raising $30,000 to complete the restoration of the Fiske Theatre which began in 2007. Goals of the project are to replace the seating on the main floor of the theatre, repair and paint the auditorium ceiling, and replace the front doors to the theatre. The Fiske Theatre was built in 1950 and at the time was one of the nicest theatres in the nation with a seating capacity of 700. However in 62 years’ time buildings begin to show their age. 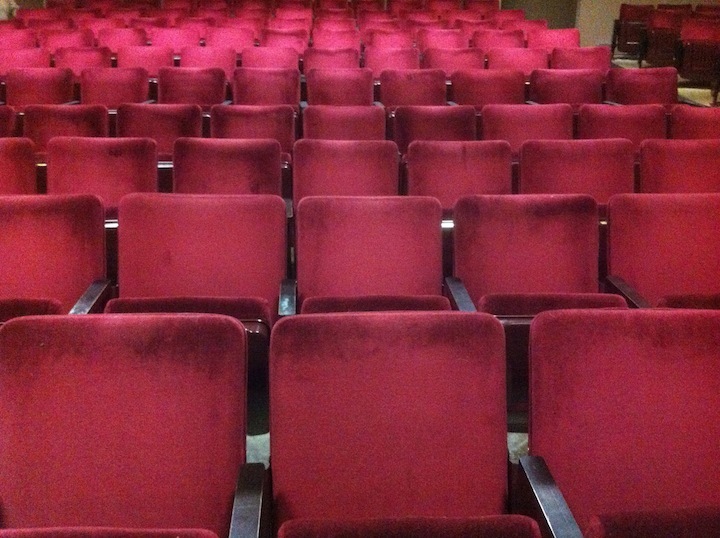 Since 2007 the Chamber, under the guidance of the Fiske Theatre Committee has made approximately $100,000 in improvements to the building using primarily theatre income, with some financial and in-kind donations from local businessmen and donations of equipment from larger theatre chains across the nation. The number one complaint that patrons have when coming to the Fiske Theatre is its seating. In 1950 people were a lot smaller, plus the architectural trend of the time was not comfort, but to fit as many seats into the room as possible. The chamber has located 500 used, but vibrant, seats in Idaho that can be purchased for a reasonable price. These seats are about 5 inches wider than the existing seats and have cup holders attached. When the seats are replaced 13 inches of leg room will be added between rows. While the seats are out of the auditorium it is also the time to repair and paint the ceiling that suffered significant damage from roof leaks during the 1980’s. These enhancements, along with replacing the front doors to the theatre that can’t be locked due to an outdated manufactures’ style will cost approximately $30,000. The Operation 2012 Committee is currently in contact with numerous potential donors and has set-up an account at Regions Bank of Oak Grove, La. for anyone who would like to make an anonymous donation. For a $100 donation or more your name will be placed on a plaque in the theatre lobby and you will be invited to an exclusive red-carpet screening when the project is complete. Also with any donation of $50 or more you may have one of the existing seats for your nostalgia purposes once the project begins. The Fiske Theatre is owned by the West Carroll Chamber of Commerce and operated by Holland Entertainment LLC. All donations to the Operation 2012 fund will be administered by the chamber and none of the funds will be used for general theatre operation. The books for the project will be made available to the public by request. If you have questions or would like to speak to someone in regards to making a donation, contact Robyn Creech at 318-282-9996 or call the theatre at 318-428-8289.